Copper Canyon Press, 9781556593161, 105pp. Abani . . . explores place and humor, exile and freedom with poems of experience and imagination . . . he] enters the wound with a boldness that avoids nothing. Highly recommended. "Library Journal"
A self-described zealot of optimism, poet and novelist Chris Abani bravely travels into the charged intersections of atrocity and love, politics and religion, loss and renewal. In poems of devastating beauty, he investigates complex personal history, family, and romantic love. 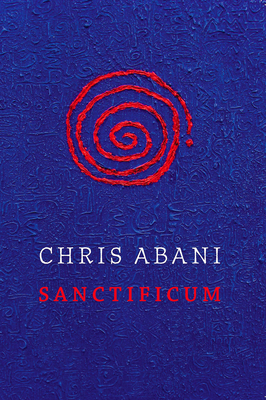 "Sanctificum," Abani's fifth collection of poetry, is his most personal and ambitious book. Utilizing religious ritual, the Nigerian Igbo language, and reggae rhythms, Abani creates a post-racial, liturgical love song that covers the globe from Abuja to Los Angeles. "I say hibiscus and mean innocence. where benches groan in the heat . . . "
Chris Abani was born in Nigeria in 1966 and published his first novel at sixteen. He was imprisoned for his writings, and after his release he eventually moved to the United States. He is the author of ten books of poetry and fiction, including the best-selling novel "GraceLand." He teaches at the University of California-Riverside and lives in Los Angeles."